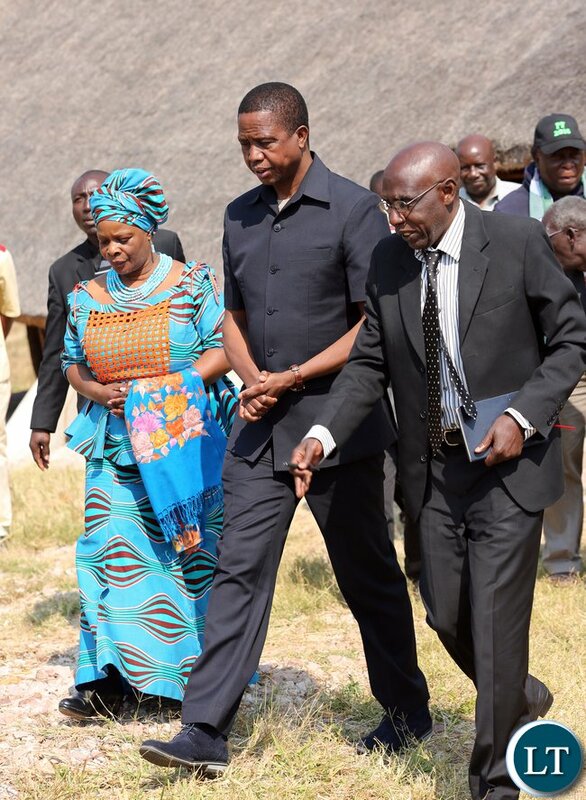 President Lungu arrive at PF Rally at Mporokoso Boma in Nothern Province on Saturday – Picture by Eddie Mwanaleza/Statehouse. 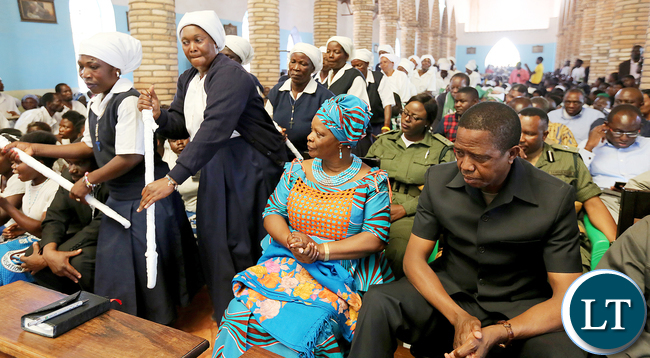 President Edgar Lungu address a public rally at Kaputa on Saturday – Picture by Eddie Mwanaleza/Statehouse. 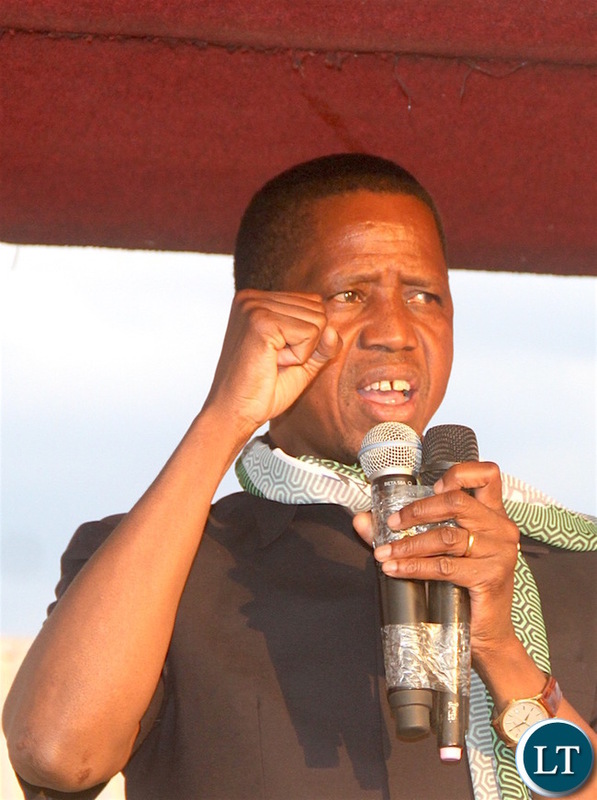 President Lungu address PF Rally at Mporokoso Boma in Nothern Province on Saturday – Picture by Eddie Mwanaleza/Statehouse. 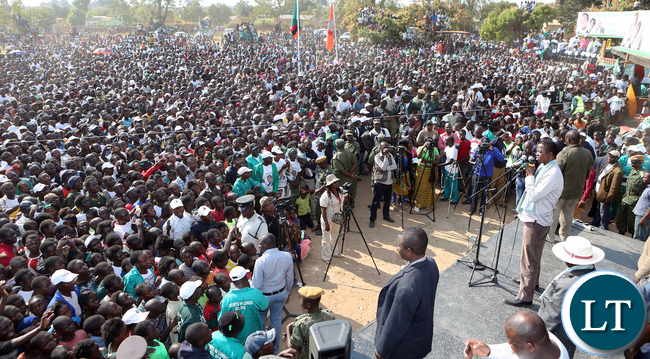 PF Rally at Mporokoso Boma in Nothern Province on Saturday – Picture by Eddie Mwanaleza/Statehouse. 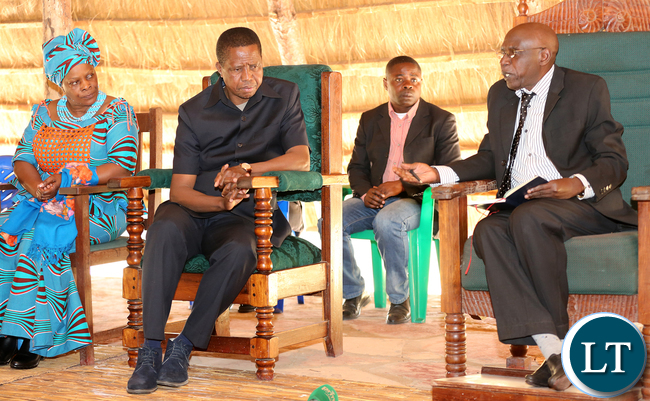 President Edgar Lungu at PF Rally at Mporokoso Boma in Nothern Province on Saturday – Picture by Eddie Mwanaleza/Statehouse. 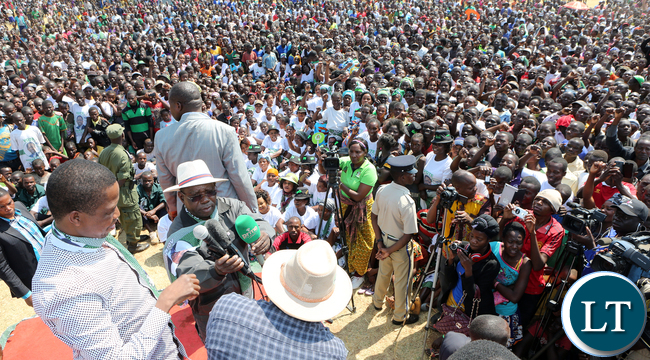 Enock Kavindele at PF Rally at Mporokoso Boma in Nothern Province on Saturday – Picture by Eddie Mwanaleza/Statehouse. 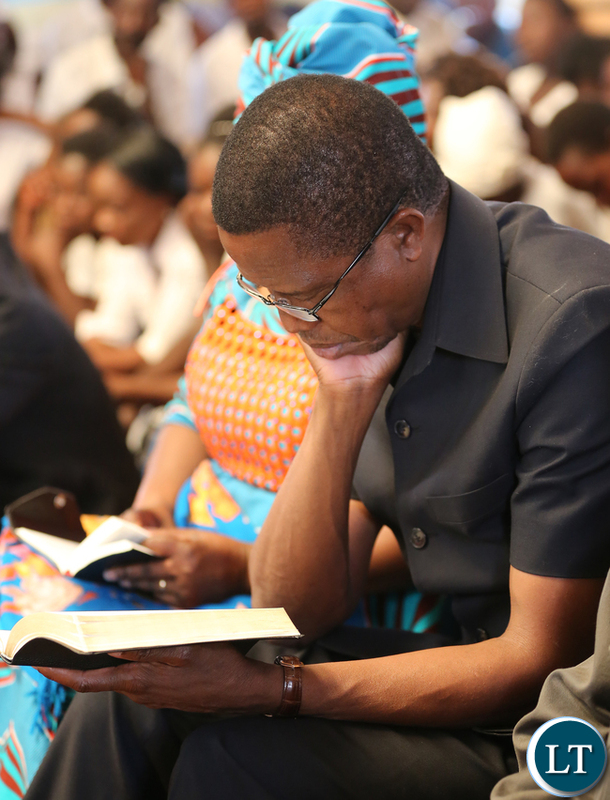 Thou shall not play with the bible, God is watching you Changwa. 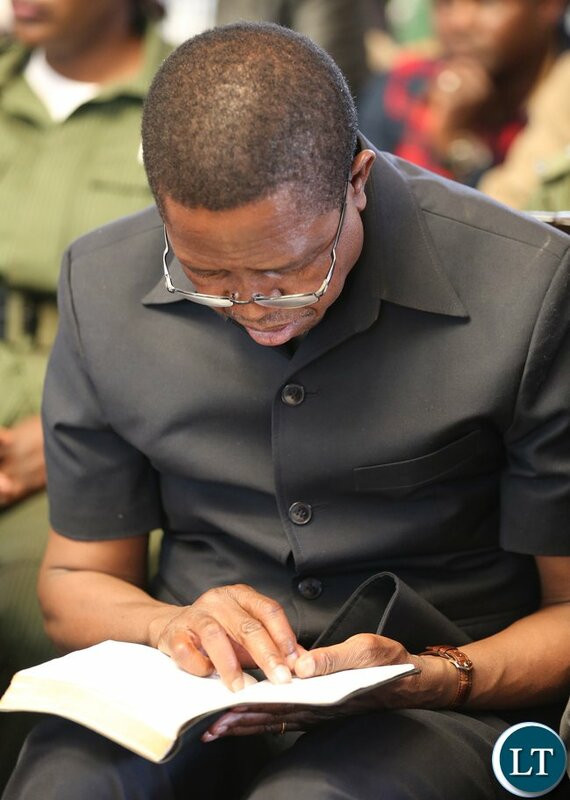 A united Zambia for Zambians as nega Nega for nega Nega then always Zambians win. Indeed a wind of NO change is blowing across the country. to be honest, the first lady is ugly! these are the ones we used to call ing’anga in the old days. nangu engineer’s choice! 1. You can clearly see that he doesn’t regularly read the bible and is just doing it for the camera. 2. The pictures showing the crowds have been photo shopped to create curved pictures to show that the rallies were were attended. Remember this is their strong hold!!! 3. My only worry is the ka chief. He was persecuted by the very chap seated next to him and he wears a wide smile? 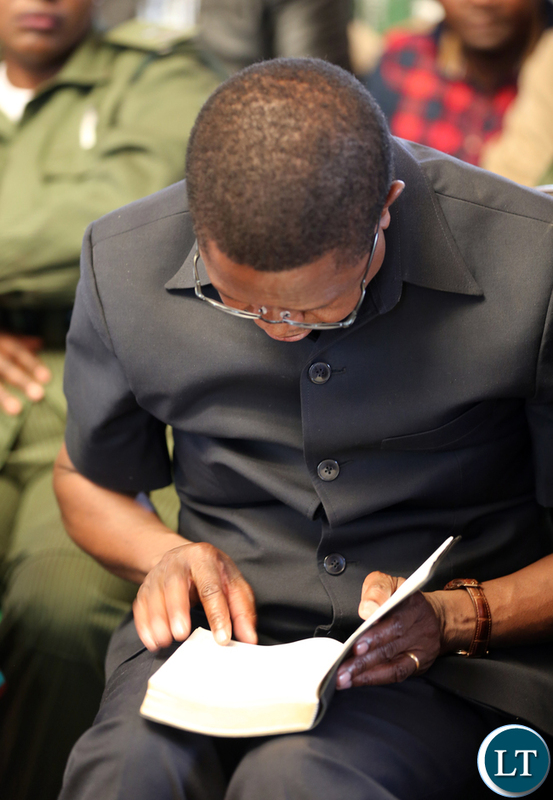 GBM fought for this man even losing his ministerial job and he wants to go to bed with an enemy. Time will tell. Please do not refer to His Royal Highness as the “ka chief”. He deserves respect and so do his subjects. You are correct in saying that he was persecuted, but he is not a person to demean, especially not because of politics. Book of revelation is end of bible, not where Edgar is looking. No no no no, now I conquer with PF that Edgar can’t debate anyone. 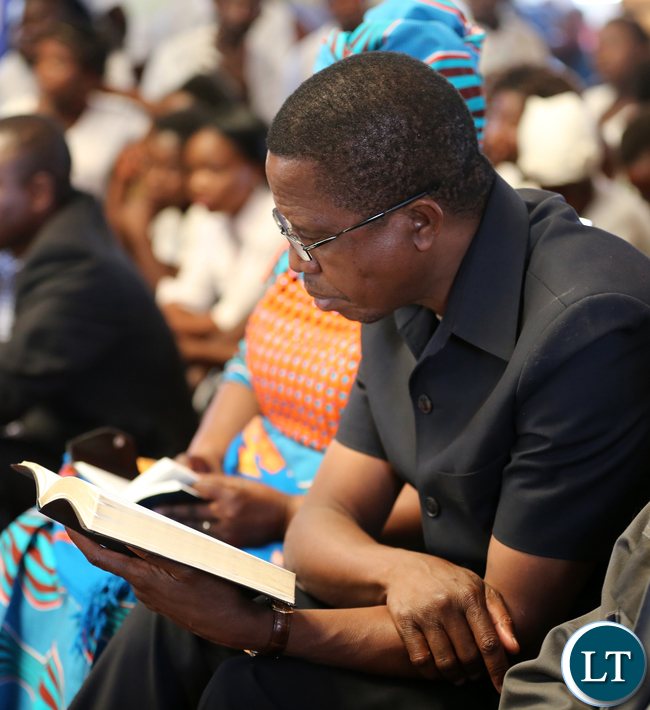 He was more bright as minister than he is as PF president. Working with abena Davis Chama kuti waba ichipuba. i see so much red colour thats UPND regalia. @ 1.4 Esaya I take exception to you calling my paramount chief as ‘ka chief’. If you want to be offensive to it to your chief. 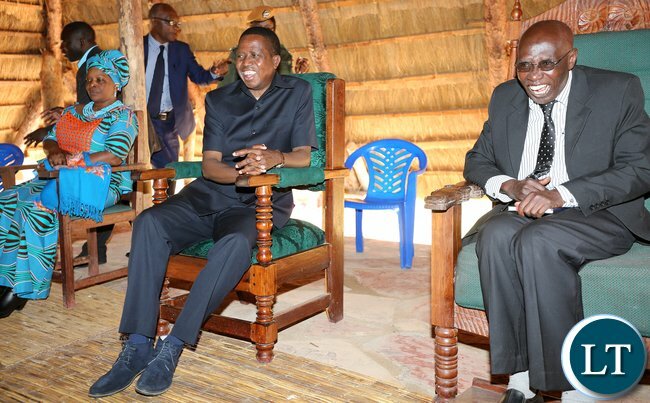 Did you want Mwine Lubemba not to welcome Lungu? That’s childish. Wise men move on from their differences. Mwine LUBEMBA is STRATEGIC, he allowed “ka Pushi” into his palace so that he could size up the chap that had been prosecuting him, remember the saying, “KEEP YOUR FRIENDS CLOSE, & YOUR ENEMIES EVEN CLOSER!! !” He wanted to see the FEAR IN CHAGWAS EYES UP CLOSE, not to be told by some second hand opinion!! Vote WISELY 11/8/2016!! Vote ZAMBIA FORWARD!! VOTE UPND!! operation watermelon at play Kikikikikik !!! PF should continue packing. Is that a crowd they can get in Northern province? Remember the days when Emmanuel Mwamba used to take selfies with Sosala. Now even though Fube, Bwalya, Mwamba, have decided to stay in Lusaka in internet cafes, leaving Edgar and his forceful wife struggling on carved camera lenses. 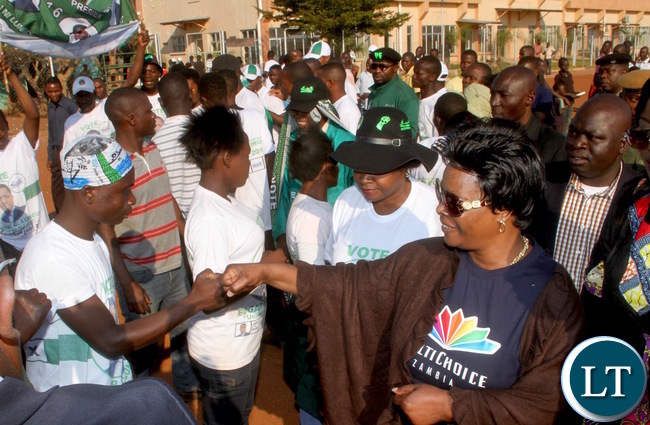 Why is she advertising multichoice by wearing that t-shirt? Or she doesn’t know what she is doing? It’s called being unpolished, I think. I could have sworn she has handlers to advise her? She is the first lady for crying out loud. hmm….no people at his rallies…he’s in deep trouble! Thanks ba LT for such lovely pictures, this province seems very peaceful and respectful to leadership. 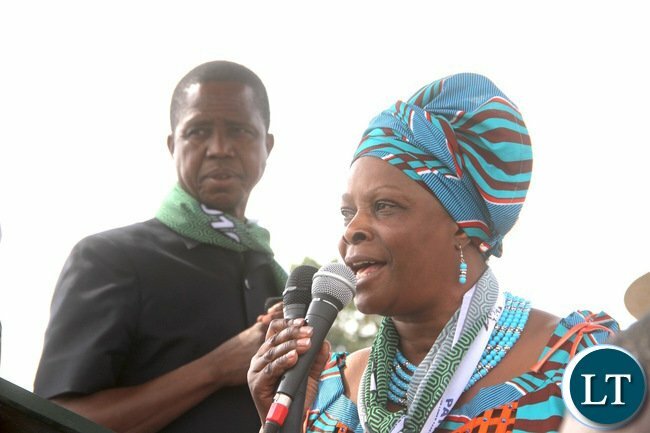 But all we keep hearing from PF die-hards is that the Southern province is bitter, violent and tribal. This easterner and his wife wife were very well received and hosted by the chiefs. This is what we expect next month when UPND takes over leadership, an ethos of acknowledging every single tribe in this great country. Well done our tonga brethren. Compared to UPNDs rallies in the same area UPND attracted many people and the people were responding positively with cheers to the party’s songs but for PF people liked as though they are observing a moment of silence and three quarters were children listening to the musical concerts. 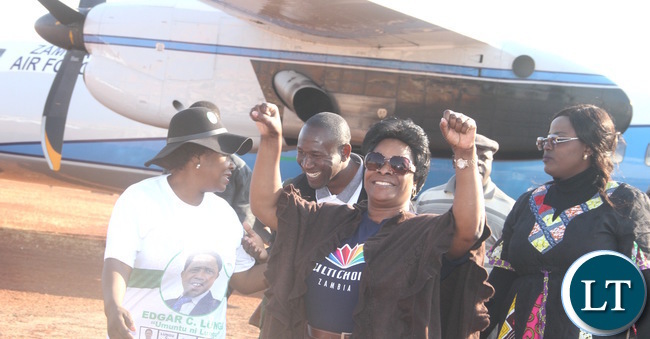 I am politically nuetral and i saw these pictures on ZNBC. By 12:00 hours on Friday, 12th August 2016, uluya njikwite, will be at Mulungushi Conference Centre appleailng to the outside world that he has been dribbled yet again whilst Mr Walk The Talk, will be receiving invitation acceptances for those coming to the Inauguration Ceremony. 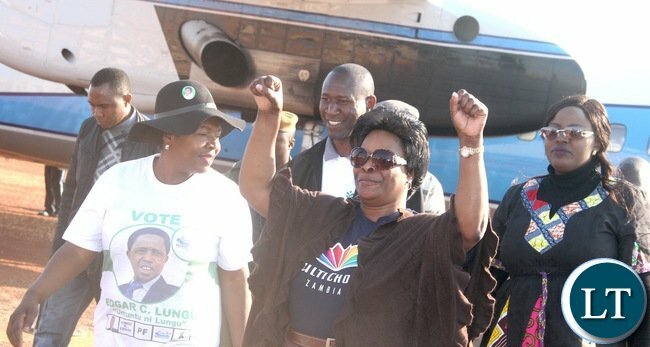 Multichoice sponsored the First Lady or is it one of those ignorant moments when a person advertises something without being compensated for it. Pic No. 24. HH wafwa!!! Don’t ever go back to Mporokoso Boma. Check the neck. GBM will not save you when she flies on you. 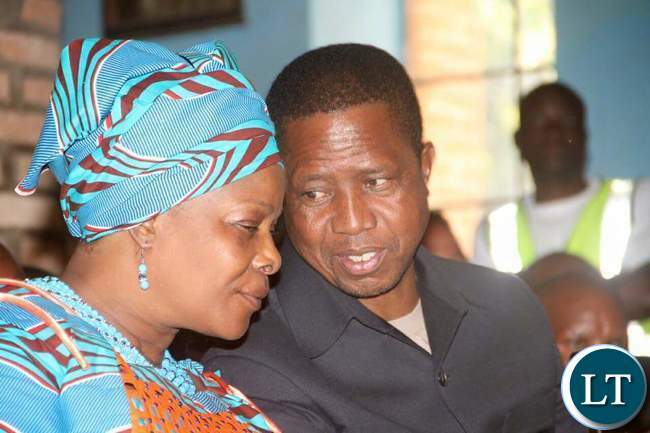 let us talk about the pronounced failures by the PF Government.Who were in the same Boat? 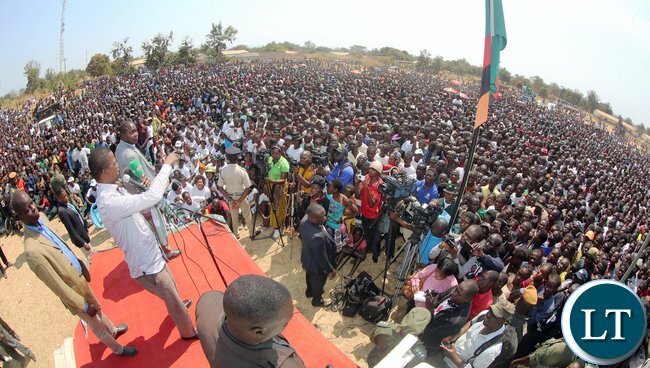 GBM,Guy Scort,Bashi Nono Sichinga,Miles Sampa,Mulenga Sata and if these are the people who failered why then has UPND embarrassed them and are on the fRONT SEAT OF upnd.i DONT EVEN SEE THE ORIGINAL upnd CAMPAIGNING With HH…..I only see the Former PF Members. Elyo Yabipa. George Mpombo has defected to Greens Party. You cannot help but wonder how this bible pageant business is supposed to help? 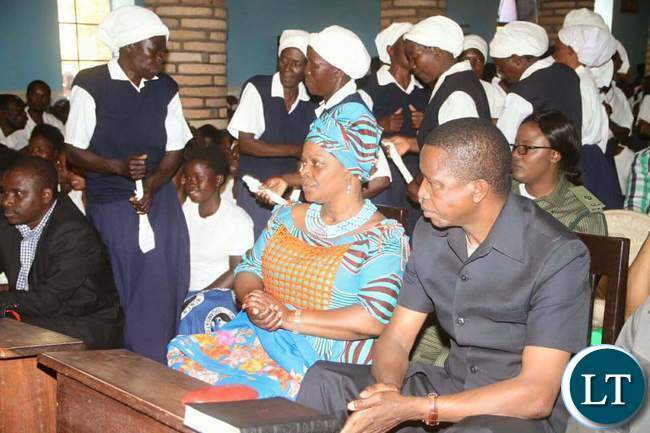 Mwanaleza, you are just denting the President’s image and prospects. You could have shot better presidential pictures. On a different note I can’t seem to see a lot of rally speeches from PF online, say Facebook. And yet there a loads from UPND. What could be the reason? Where are the pictures taken at Musangu? 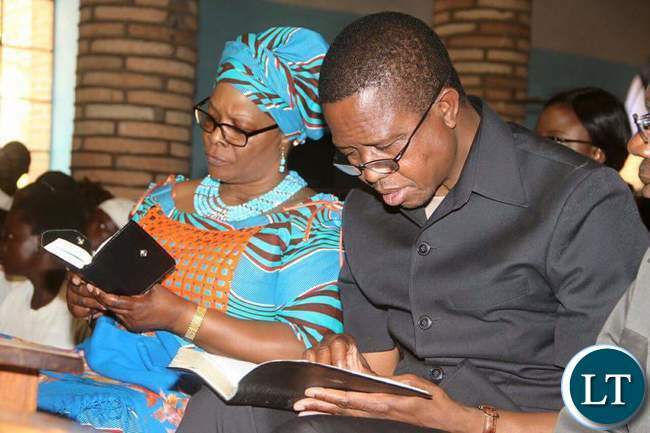 I am told Pastor Mumba and the UPND vice president could not even address any meeting to introduce their candidates at Musangu in Mwense District. WARNING TO UPND AS YOU CAN SEE THE EVIDENCE SHOWS THAT THESE CROWDS WILL SHOW UP FOR RALLIES REGARDLESS OF WHO IS HOSTING THEM. 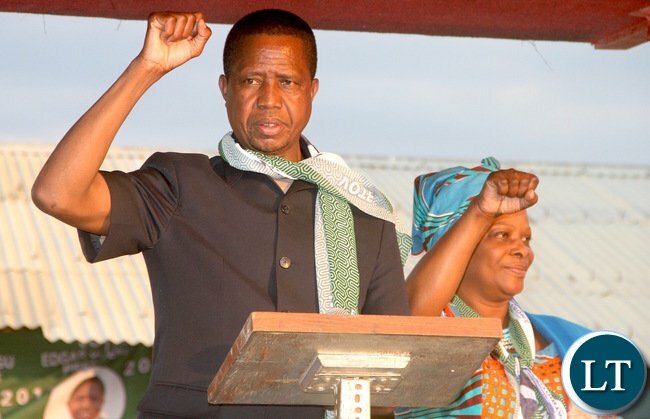 UPND NEEDS TO RAMP UP THE TURN OUT EFFORT. MOST PEOPLE HAVE ALREADY MADE UP THIER MINDS AND AT THIS POINT THERE IS LITTLE THAT CAN BE DONE TO CONVINCE VOTERS OF WHO THEY WILL PREFER. THE KEY NOW IS TO MAKE SURE THAT UPND VOTERS SHOW UP AND ACTUALLY VOTE. THIS IS NOW THE VOTER MOTIVATION STAGE OF THE CAMPAIGN. 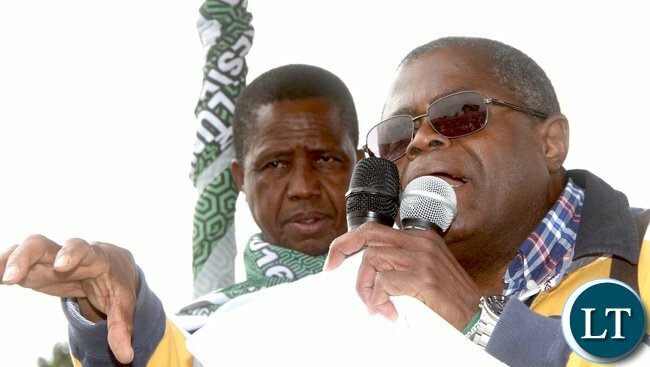 IF WE GET A HIGH TURN OUT LUNGU AND PF ARE PACKING AND GOING BYE BYE!!! UPND is full of hate and no wonder they are losing these elections.They can only win erections in nega nega and Zambians are waiting to teach them a lesson this year.We don’t know where GBV,Scotrum ,Kilometer and group will go there after. 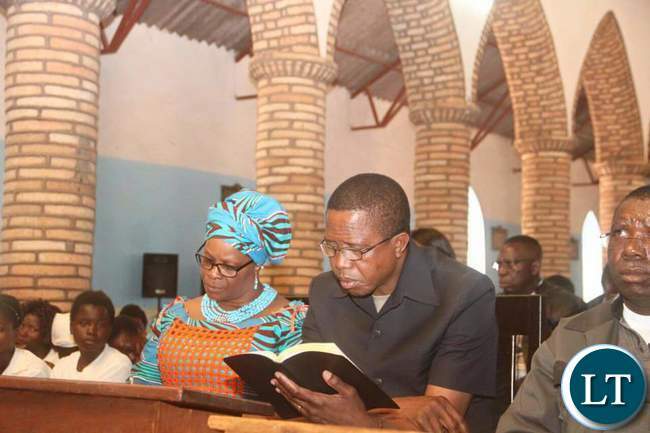 Absolutely,there is no wind of change in Zambia but only in the small minds of the tribal kanchemas. Iwe Esaya, tawakwata no mucinshi uko wafuma. Wilabika ama Chiefs muma politics ya nsele. 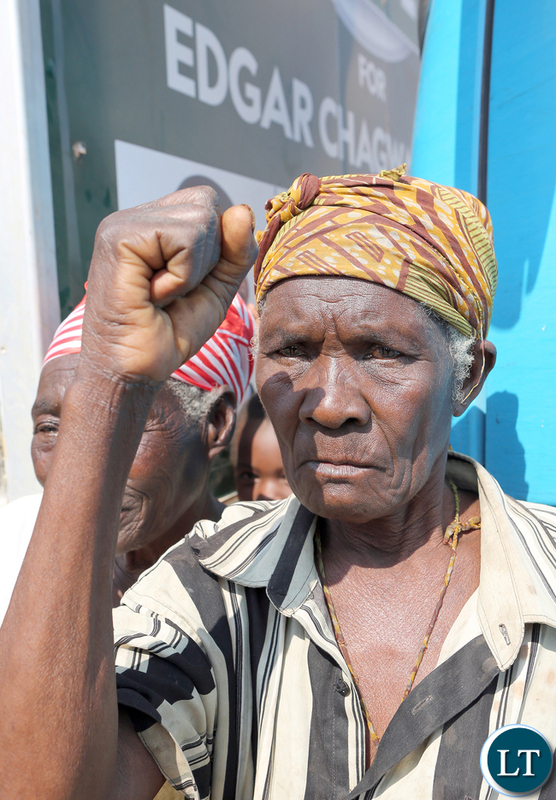 Lets talk but respect Elders, all Elders in this country so that our days on earth will be long. Am not happy for you to call Mwine Lubemba at “ka chief”. Repent you are cursed. Most of the mega rally’s photos are not shown. Lusaka Times at work.